One of the most popular equestrian events is definitively horse racing. This equestrian sport is popular not only because it gives people a chance to admire powerful horses and skillful jockeys, but it is also a great opportunity to enjoy betting. Here are some useful tips for those who would like to try out horse betting but are not sure where to start and what to do. The first tip is that you should choose a betting option that is most suitable for you and your expectations. If you’re not certain about the bookmakers that offer the most options, you can read reviews online, such as this review of Matchbook, which will tell you all you need to know about the sports offered at that bookmaker. The choice of horse racing wagers is quite wide, so beginners should start with one of the three most basic options: win bet, place bet and show bet. These three betting options are among the most popular ones because they provide great payouts proportional to the risk. The first type of wagers you should think about refers to betting on the winner of a given race. 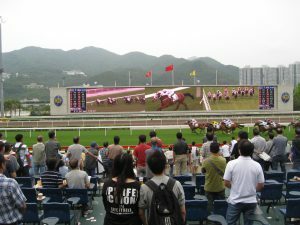 This type of horse betting is quite straightforward as you should choose a horse that you think will finish the race first. If that horse wins the race, you win, if not, you lose your money. If you want to make a place bet, you should choose a horse that you think will finish the race first or second. Payouts for place bets are lower compared to win bets, but the chances of winning are higher. The third basic type of horse racing wagers is the show bet. If you choose the show bet, you should pick a horse that will finish the race in one of the top three positions. This means that you get a payout if the horse comes in first, second or third. For those who are more adventurous and wish to try out some more complex types of wagers, there are additional possibilities, such as exacta, trifecta, superfecta, daily double. You should keep in mind that the riskier the bet, the more money you get, but the chances of winning are lower. Another useful tip is that you should visit the paddock before taking your pick. The paddock is a small place close to the tracks where horses and people gather before the race. 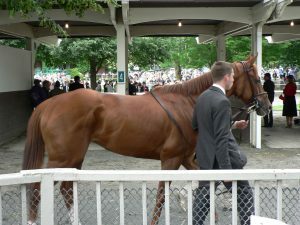 You can admire the horses there, but more importantly, you can look for some signs that can help you choose the winner. You should look for the horses that are calm because they are more likely to perform well in the race. You can notice if the horse is nervous if you pay attention to its ears and tail. If the ears or the tail are twitchy, the horse is less likely to have success in the race. The final piece of advice is to check the statistics on both the horse and the jockey before placing your bet. You can find them online or you can ask seasoned punters for help as they can share a lot of useful information.